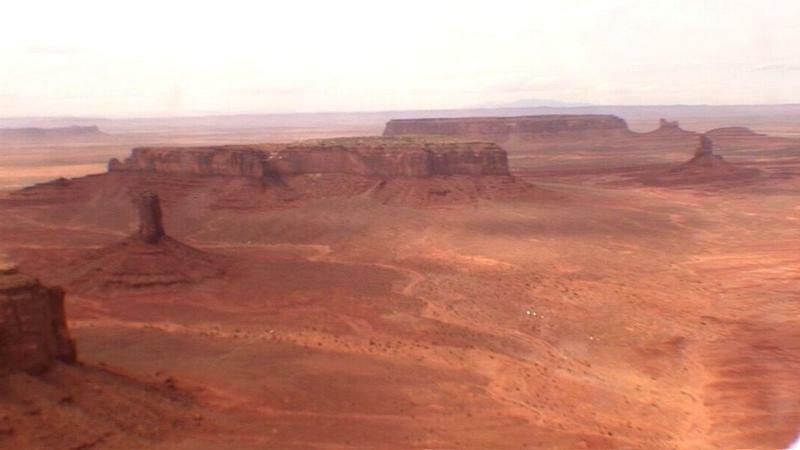 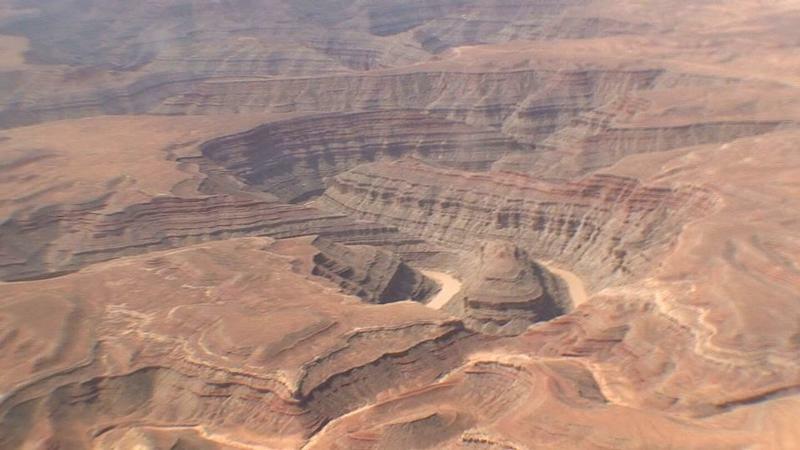 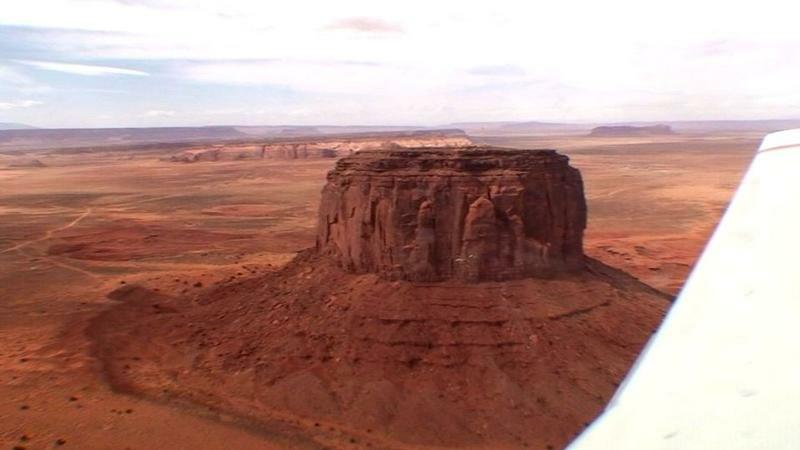 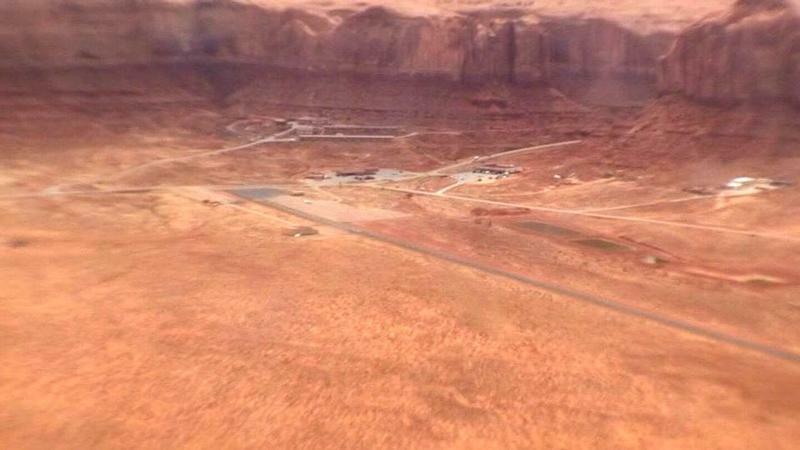 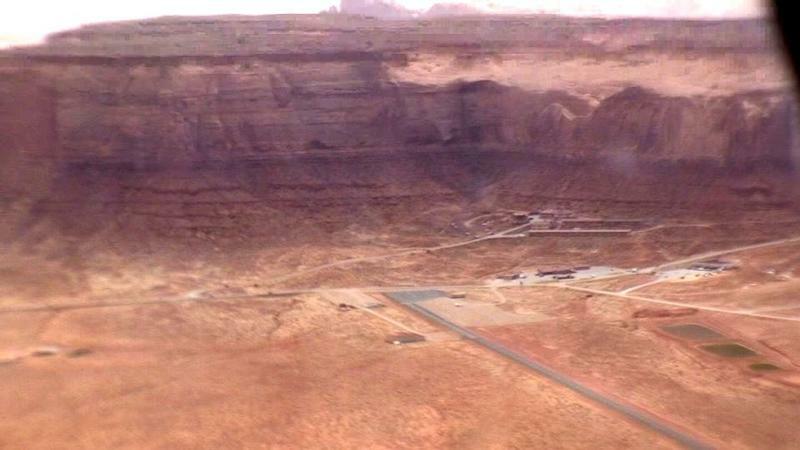 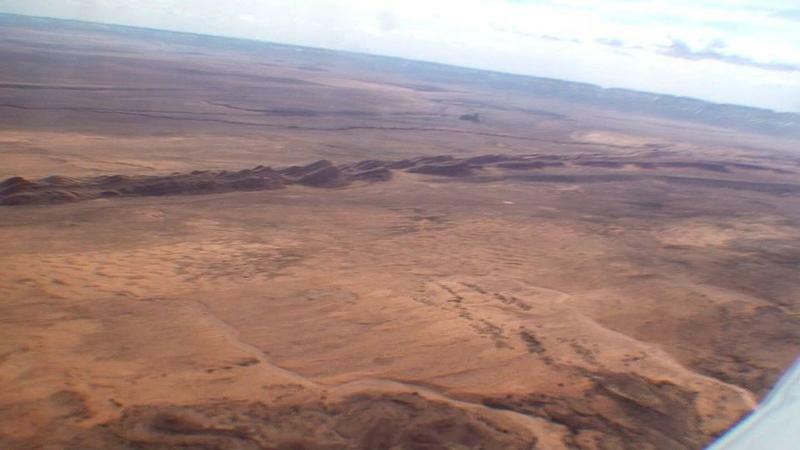 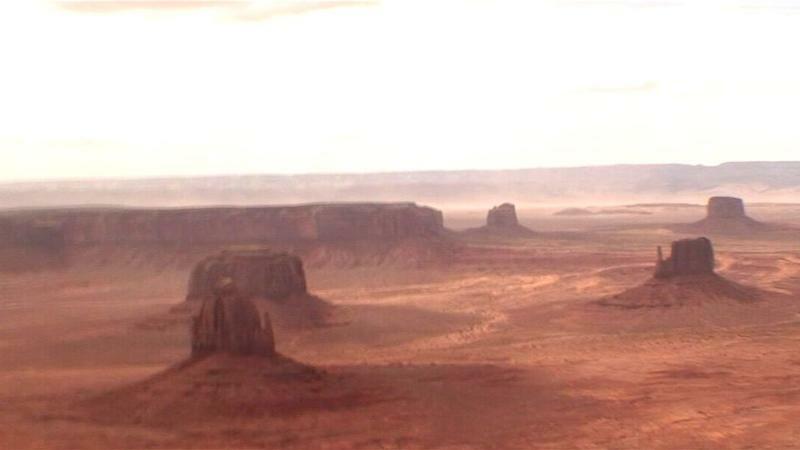 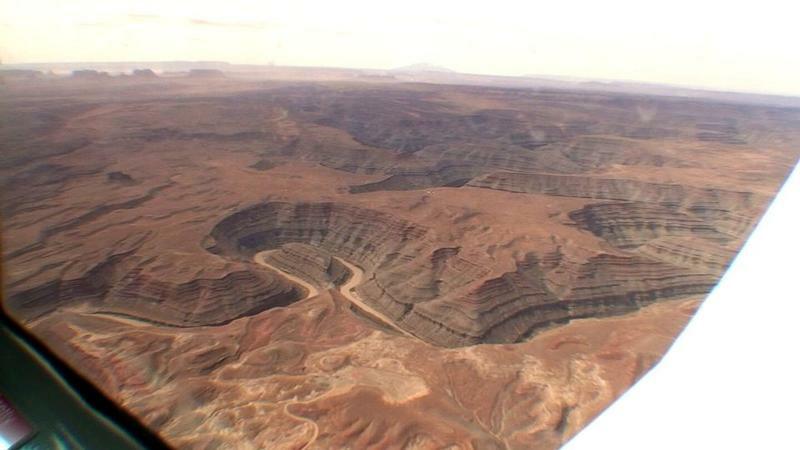 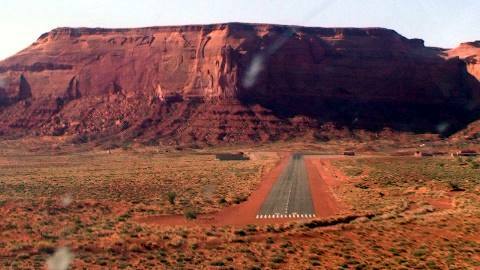 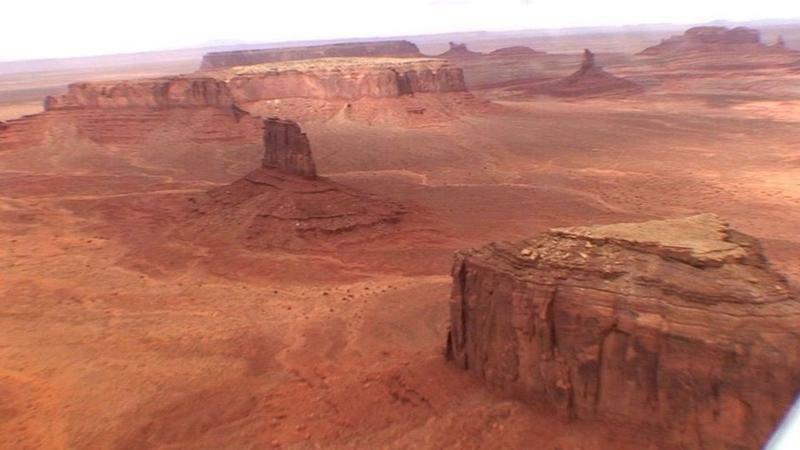 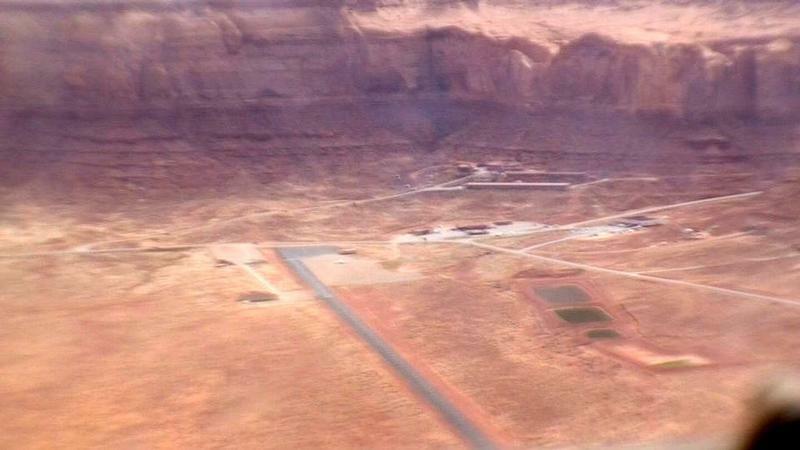 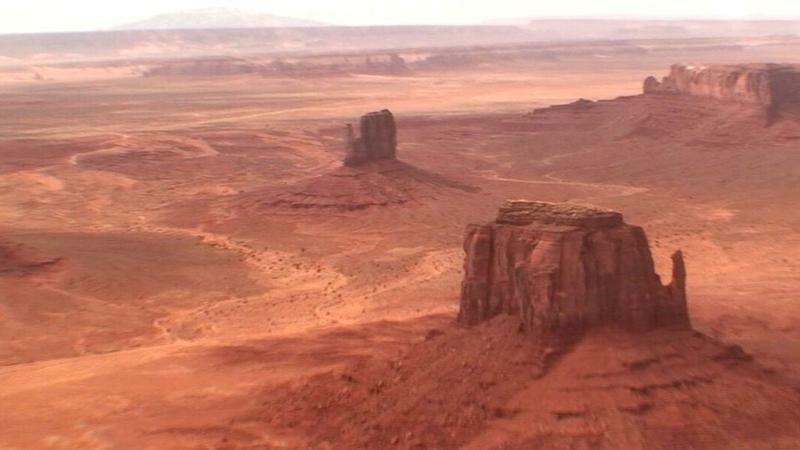 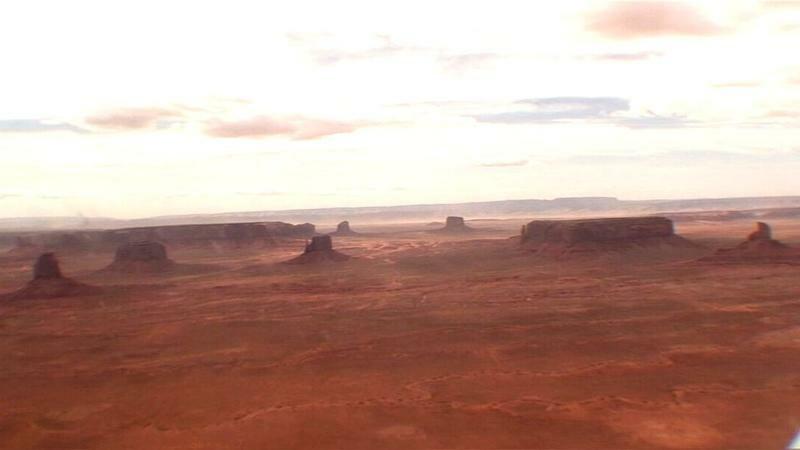 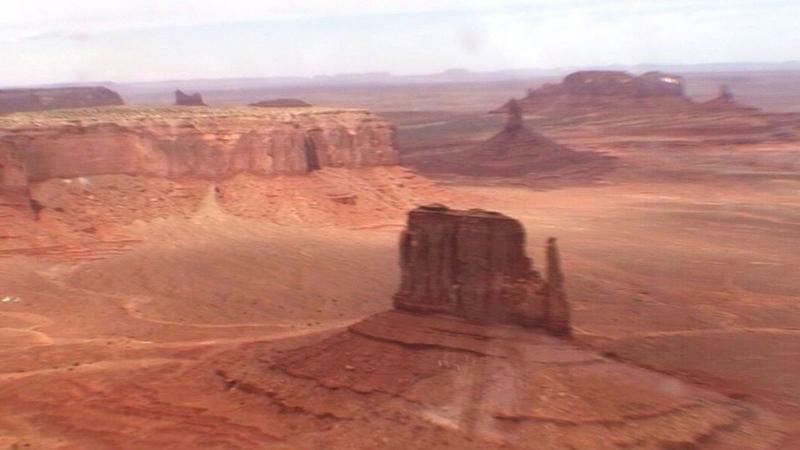 Comb Ridge, Utah, as seen from above Bluff airport (66V). 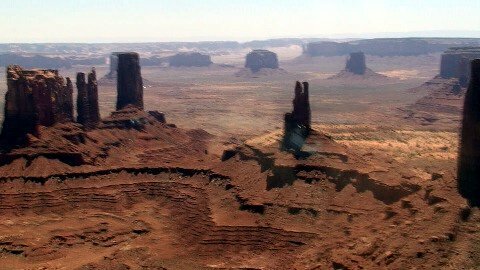 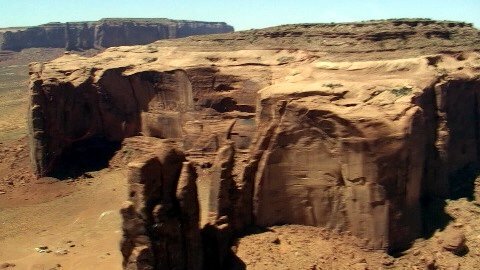 Comb Ridge is an immense sandstone formation tilted at an angle of about 20 degrees, which is almost 80 miles (128 km) long running north and south, and about one mile (1.6 km) wide. 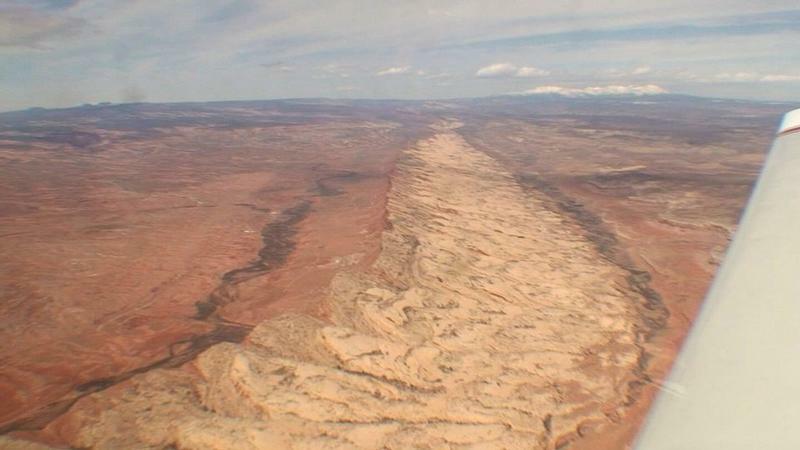 Gooseneck State Park, where the San Juan river twists and turns in sandstone formations, showing hundreds of layers as the river meanders toward the west into Lake Powell. 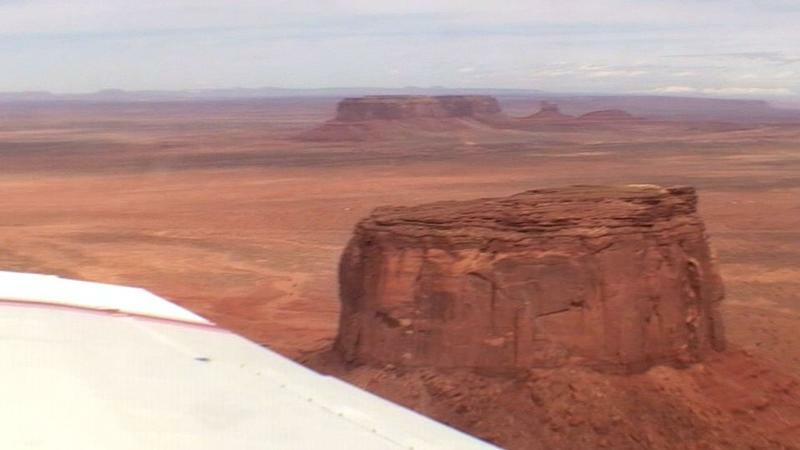 I guess you have to make a quick turnout after takeoff, if you are departing to the South from UT25!